Great Ideas for Every Mom This Mother's Day! Looking for last minute ideas for the ladies in your life this Mother's Day? Moms come in many flavors..... which one fits the lady you are shopping for own special style? The Vintage Mom has a eye for the past, but it doesn't mean she trapped there.... This first ring is remeniscent of past designs, but the way the craftsman got there is all modern. 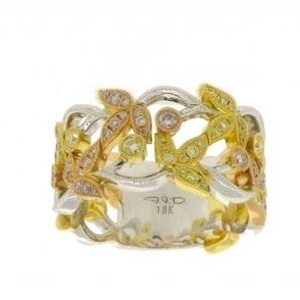 Love this Pink, Yellow, and White Gold Ring! 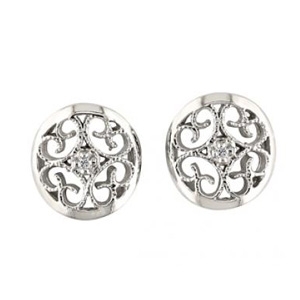 These button earrings have that sweet, Victoria and ALbert look. I actually just was going through an esate last week which had a pair of earrings very similar. 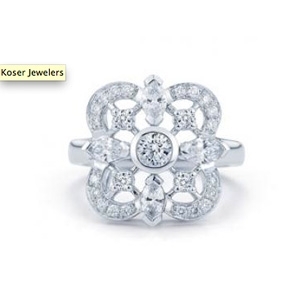 This white gold diamond ring actually looks similar to one my friend Lauri wears, it looks like it could have been her great greandmothers... 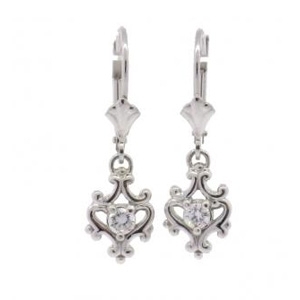 I think these dangles in white gold and diamond have that princess of ages past look. A legacy piece for sure.